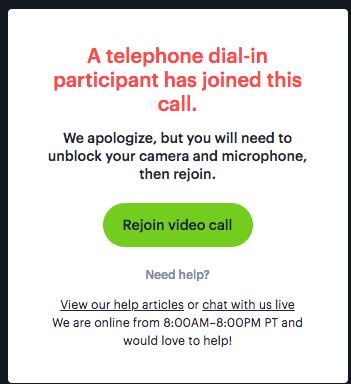 Apologies: once a dial-in participant joins, you may need to unblock your cam/mic. We've reported this problem to our dial-in provider. We are really sorry. You'll see the error message below. In a call, look at the address bar. 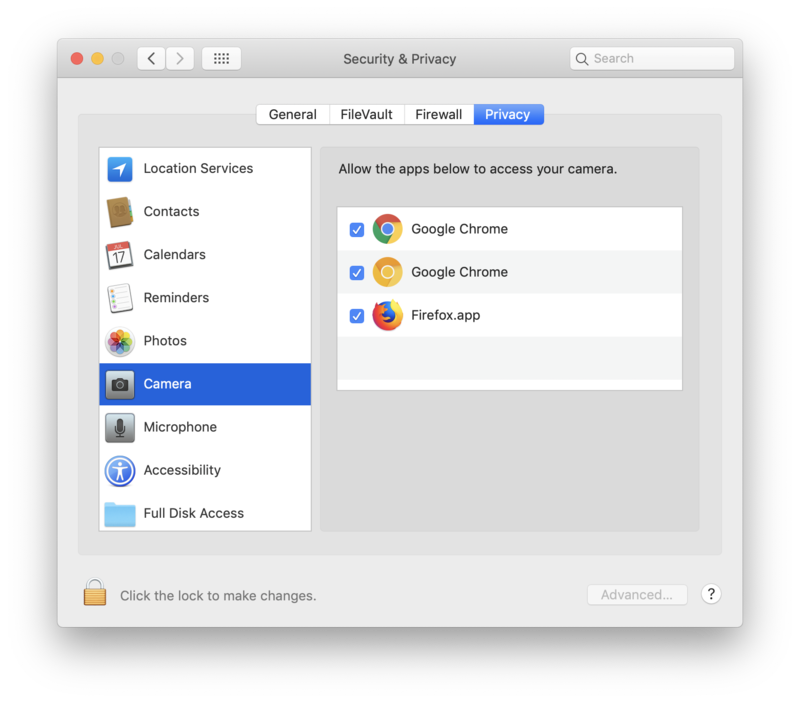 The camera icon will show an X. Need help? Chat with us, 9-5 PT (California), or email help@daily.co.